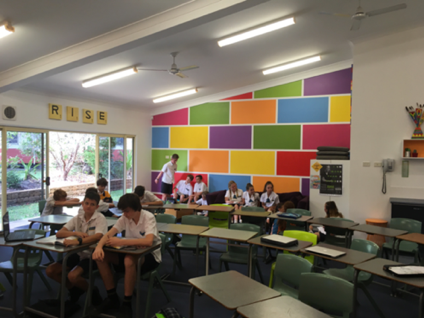 The Middle School at Peregian Beach College commenced in 2017 in response to a trend, both in Australia and internationally, towards addressing the distinct and unique needs of adolescents as a group in transition to adulthood. The creation of the Middle School also enables the College to respond in a more coherent manner to the curriculum requirements of Phase 3 (the final phase) of the Australian Curriculum. Middle School consists of Years 5, 6, 7 and 8 and the students and teachers work as part of the secondary school. 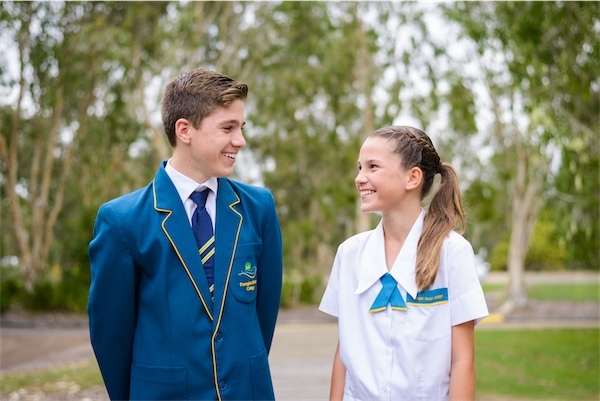 Middle schooling with Years 5 to 8, whilst consistent with a true ‘middle school’ philosophy, is unique on the Sunshine Coast. The emphasis in the Middle School is on an holistic, student-centred style of learning which encompasses the physical, intellectual and emotional well-being of our students. Given the considerable psychological and physiological stresses upon adolescents during their middle school years, it is not surprising that there are reports of a decline in motivation and performance for many students as they move from primary into secondary school. Middle School is designed to engage student learners in a crucial time in their development, in part by developing a curriculum which ‘emphasises the successful acquisition of broad general knowledge, skills and attitudes, in an interactive process which is relevant, accessible and flexible in its pedagogy’. The Middle School curriculum at our College sets out the core knowledge, understanding, skills and general capabilities as outlined in the Australian Curriculum documents. Our curriculum uses this documentation to describe the work programmes being implemented as a foundation for students’ future learning and growth. Our teachers have planned from the curriculum in ways that respond to the needs and interests of both our student body as well as those of the individual. Our curriculum acknowledges the varied ways in which young people learn, as well as the ever-changing body of knowledge which needs to be imparted. A key element in the education of students during the middle years is the safe broadening of the curriculum. This entails a graduated experience of increased choice, without the worry of having to contend with numerous teachers and classroom changes. The table embedded in the handbook below shows the core curriculum taught each year, as well as the specialisation that occurs, particularly in The Arts and Technology, as students move through their middle years’ education. For information on Middle School courses, click here.